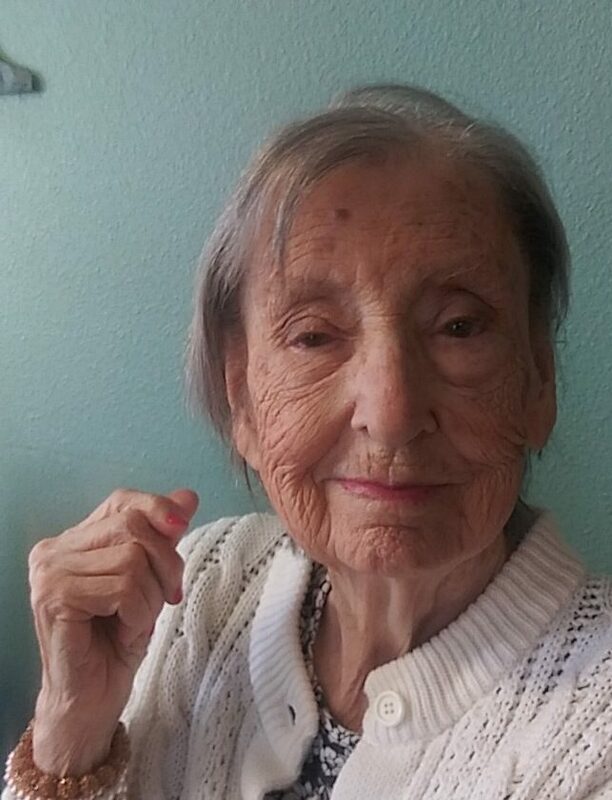 Jewell “Aileen” Lines, 91, of Belton went home to be with our Lord on Thursday, March 21, 2019. A visitation will be held from 5-7 p.m. on Monday, March 25, 2019 at Park Lawn Funeral Home, 8251 Hillcrest Rd, Kansas City, MO 64138. Funeral services will be held at 10 a.m. on Tuesday, March 26, 2019, at Park Lawn Funeral Home with burial immediately following services in Green Lawn Cemetery, next to the funeral home. In lieu of flowers, donations are suggested to The American Diabetes Association. Aileen was born to Lawrence and Clara Bell (Crane) Burns on April 23, 1927 in Caplinger Mills, MO. She married the love of her life, Claude E. Lines, in 1950 and were married 65 years. Together they raised two sons, Carroll and Ronnie, 9 grandchildren and many great-grandchildren, enjoying five generations. Aileen and Claude always put family first and loved traveling in their RV, camping and vacationing. Aileen worked for and retired from the Internal Revenue Service. She enjoyed sewing, quilting, music-especially bluegrass, flowers, and moving furniture. Visitation: 5:00-7:00 p.m. on Monday, March 25, 2019 at Park Lawn Funeral Home, 8251 Hillcrest Rd, Kansas City, MO 64138. Funeral Service: 10:00 a.m. on Tuesday, March 26, 2019, at Park Lawn Funeral Home. Burial will follow services on Tuesday, March 26, 2019 in Green Lawn Cemetery, Kansas City, MO.